Please indicate the amount you would like to donate to the SMES Annual Fund. An invoice with credit card payment instructions will be emailed to you. Download "AF letter 2018 MM.pdf"
There’s no place like home. My children, Emma and Cooper, consider St. Matthew’s Episcopal School to be “like home.” As a parent, knowing that your child feels safe, secure, and excited to be in an educational setting is beyond any dream you can have for your child. Every teacher on campus knows my children by name; they know of my son’s allergies and are properly trained. The faculty and staff go above and beyond what is expected. My husband, Ben, and I are not originally from this area. After touring St. Matthew’s, we genuinely felt the sense of a nurturing, loving, and outstanding academic setting - this was the school that our children must attend! Eight years later we are still at peace and very satisfied with our decision. My daughter, Emma, will be graduating St. Matthew’s this year. She is prepared academically, socially, and spiritually to become a successful teen and young adult. These foundations were laid by both our family and our school. I thank our administrators, faculty, and staff for their unwavering commitment to providing our children with a rigorous academic curriculum enveloped in a positive and caring environment. As we continue to fulfill our mission of “Nurturing mind, heart and soul in a Christian environment,” we are excited to kick off our Annual Fund campaign. You may be asking, “What is the Annual Fund?” The Annual Fund helps bridge the gap between the actual cost to educate your child and the amount you pay for your child’s tuition. The Annual Fund is an opportunity for the families of St. Matthew’s to make a meaningful gift that expresses the value they place on the St. Matthew’s experience. Every gift, regardless of size, makes a difference. Every gift makes St. Matthew’s stronger. The contributions we receive allow us to continue to enhance and grow our curriculum. The funds help support our need to infuse technology into our classrooms to prepare our children for our ever-advancing world. In addition, the Annual Fund provides for faculty salaries and professional development, as well as to advance and develop our campus. St. Matthew’s is an independent school. It differs from Catholic elementary schools in that there is no Diocesan funding or control over the school. St. Matthew’s Church and School operate independently with separate budgets and bank accounts. Church and school do not share funding. The Episcopal Diocese of Louisiana supports Episcopal schools through prayer, but not through funding. The information on this page attempts to answer the most commonly asked questions about the St. Matthew's Annual Fund. For further questions please contact us at 985-872-5573 or by e-mail smes_info@stmattshouma.org. 1. What is the Annual Fund? 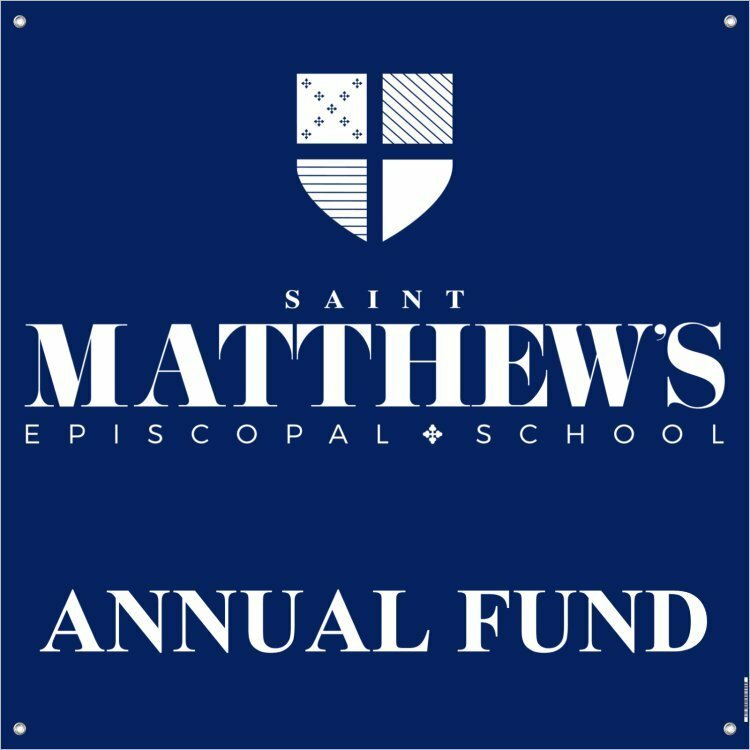 The Annual Fund is a yearly fundraising initiative that provides vital support to St. Matthew’s current operating budget. An independent school relies upon the generosity of its constituents to provide an exceptional program and environment for its students. Many of the enhancements and "extras" provided at our school are a result of each year's Annual Fund. 2. How are contributions used? Annual Fund gifts are unrestricted, so they can be used where they are needed the most. Every dollar given to the Annual Fund is used immediately to maintain excellence, by meeting the school's most important needs and opportunities, including new and ongoing programs in the classroom, and other initiatives. Your gift directly impacts our students today! 3. Why is it important to participate? A robust Annual Fund ensures the best possible programs, facility, and faculty for the students. The Annual Fund is the foundation of all fundraising at SMES, and the level of participation by parents is an important factor in expanding learning opportunities for students. Each family who gives takes ownership in St. Matthew's and is doing its part in realizing the vision of SMES. Full participation makes a powerful statement to the larger community -including individual outside donors and charitable foundations that look for strong support within the schools they choose to support. 4. Do all SMES families participate? 100% of the Faculty, Staff, and Board of Trustees pledged support or made contributions before the official kick-off of the campaign. Many of our faculty did so by means of payroll deduction, which speaks volumes about their deep commitment to our children and the mission of SMES. The school relies on the generosity of its alumni, parents, grandparents, and friends to ensure that students receive the quality academic experiences they deserve. 5. How much should I give? Gifts to the Annual Fund can range from fifteen dollars to thousands of dollars. Large gifts are wonderful, but smaller gifts add up. A high percentage of parent participation is also critical. We encourage every family to participate, and we hope you will participate at a level that is personally meaningful to you. Remember that your gift, along with others, directly enhances your child's education. Please prayerfully consider your financial support of the Annual Fund. The only gift that is too small is no gift at all. 6. Why not just set tuition high enough to cover expenses? As an independent school, St. Matthew’s meets our budgetary needs from tuition, gifts, and fundraising. Charitable gifts supplement our operating budget and help provide financial stability and the resources necessary for an optimal educational environment. Gifts to the Annual Fund are unrestricted and allow the school to use the funds in the area of most need during the school year. In fact, the school spends about $1,800 more educating each student than that family pays in tuition. The St. Matthew's Annual Fund helps us bridge that “Excellence Gap.” Tuition and fees cover only a portion of the cost of educating a student for one school year; this means a significant amount of the school budget must be made up each year through the Annual Fund and other fundraising efforts. St. Matthew’s is a non-profit organization, and while the School is associated with the Church, the two are separate financial entities. Funds are not shared. Higher tuition might exclude some students. Diversity is important, and we want to make SMES available to as many families as possible, regardless of their socioeconomic status. Each family is asked to give at a level at which they are comfortable. Contributions to the Annual Fund are tax-deductible. 7. Should I give a larger gift if I have more than one child at SMES? The St. Matthew's Annual Fund helps us bridge that “Excellence Gap.” Tuition and fees cover only a portion of the cost of educating a student for one school year. If your second child were not at SMES, his/her place would be occupied by a child whose parents presumably would make a contribution equal to yours for their one child, providing the financial support needed for each child. 8. Are there tax benefits available when I give to SMES? Yes, there are! St. Matthew’s Episcopal School is a registered 501(c)3 organization and charitable gifts are tax deductible to the fullest extent of the law. 9. How long do I have to pay my pledge to the SMES Annual Fund? Families are encouraged to make their pledges as soon as possible, but we prefer to receive all payments by May 1st. When you make your contribution, you will be sent an official receipt that you may use for your tax deduction calculations in the tax year your payment was made. 10. I would like to keep my donation confidential. Is that possible? Yes, simply let us know. We also welcome donations in honor or memory of others. 11. What about matching gifts? Many companies match employee contributions to non-profit organizations such as St. Matthew’s Episcopal School. We encourage donors to check with their employers to see if this plan is available for them. The SMES EIN number is 72-0571489.